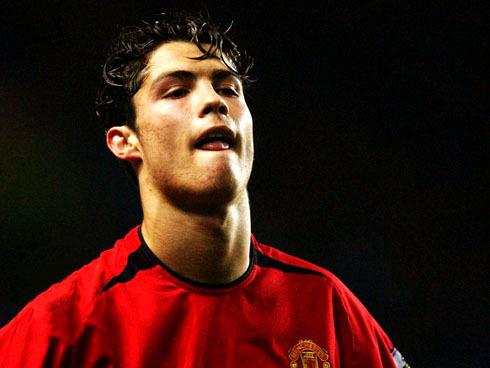 ﻿ Is Cristiano Ronaldo returning to England/Manchester this Summer? 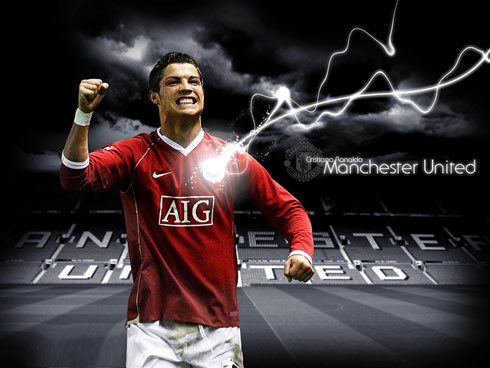 07.02.2012 » Is Cristiano Ronaldo returning to England/Manchester this Summer? Over the last days, several online newspapers reported that Cristiano Ronaldo is thinking about leaving Real Madrid and moving back to England/Manchester United at the end of the season. It all started with a rumor published by a British tabloid, the "Sunday Express". Rumors about the possibility of Cristiano Ronaldo heading back to the English Premier League have started once again, after a story published by the British newspaper "Sunday Express". Without quoting any exact sources, the news article state that Cristiano Ronaldo has confessed to close friends about his wish of returning to England and preferably to Manchester United, next Summer. The story also raised the names of Manchester City and Chelsea, as a shortlist of clubs interested in signing CR7, in the event of him leaving Real Madrid. The rumor started this last Sunday, precisely on Cristiano Ronaldo's birthday date and the simple fact that it has been originated in a British tabloid, that as usual didn't reveal any exact sources, somehow immediatly discredits the entire story. The "made-up plot" on this "Sunday Express" article, attempts to support itself on a supposed unhappiness from Ronaldo, after being whistled, "booed" and mistreated by Real Madrid fans just a few weeks ago (4th of January), when the Merengues hosted Malaga at the Santiago Bernabéu. What this English newspaper didn't care much about, was the right timing to release such a rumor, since it would have made more sense if this story had been released back in January, when those incidents took place at the Bernabéu. After the Copa del Rey clash between Real Madrid and Barcelona, that took place in the 18th and 25th of January, Ronaldo seem to have conquered Real Madrid fans hearts once again. The way the Portuguese player gave everything he had in both attacking and defending plays, changed the atmosphere with the crowd at the Bernabéu, as it became a lot more harmonious ever since. Ronaldo's name has even started to be chanted by a large amount of fans at home games, over the last Real Madrid fixtures. 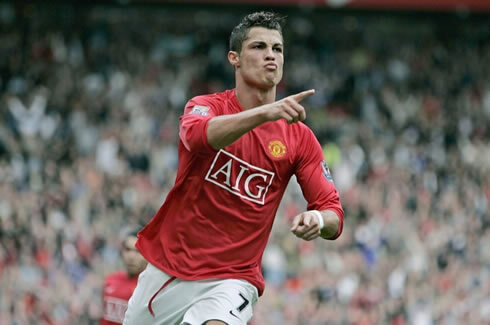 However, it still can't be compared to the idolatry level he had in Manchester United and Old Trafford, a club where Ronaldo had two chants/songs dedicated to him. 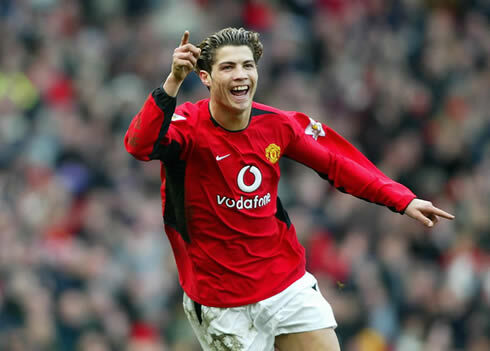 For those who tend to be more nostalgic, we posted those songs below, with which Manchester United fans honored Ronaldo when he was playing in England. There's obviously a huge difference on the support Cristiano Ronaldo receives when playing for Real Madrid or Manchester United. However, if we have in mind that the Portuguese star accepted being tranferred to Madrid in order to embrace a new challenge in his life, I seriously doubt that Ronaldo will make a move back to England and Manchester before getting his hand on the titles he so much aspires and with that, finally dethroning Barcelona. It's important to note that this is a personal opinion and it clearly goes against the trend that has been spread among the press. 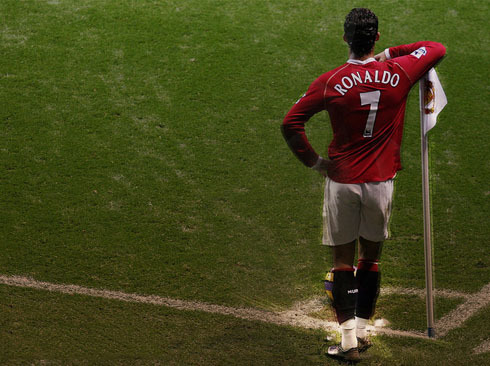 Even though I would love to see Cristiano Ronaldo wearing the Manchester United jersey once again and while still being on his prime, chances for that to happen this Summer are indeed slim. However, if Real Madrid ends up winning La Liga and lifting the UEFA Champions League trophy in May, then I would simply make Ronaldo's words my own: "Future? Only God knows it!" As for the big amount of online newspapers, blogs and sites revealing Cristiano Ronaldo's intentions of leaving the club at the end of the current season, you may all be calm about it, since they limited to spread the original story published in the "Sunday Express", a source that can't be seen as a reliable one, for any of these matters. Please be aware that this doesn't mean or assure in any way that Ronaldo will stay in Real Madrid next season, but there's no reason to think otherwise at the current stage. 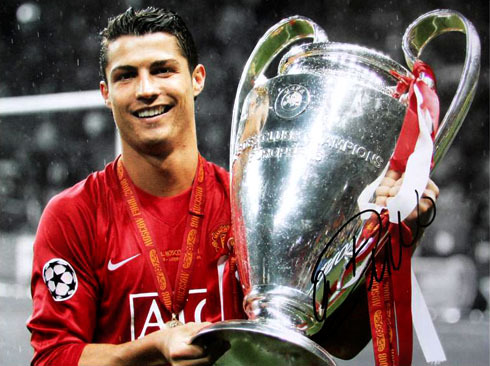 For now, let's just hope we can see a match-up between Real Madrid and Manchester United at the UEFA Champions League quarter or semi-finals, so we all may witness the kind of welcoming and reception Cristiano Ronaldo would get at Old Trafford. Real Madrid next game will be against Levante for La Liga, this Sunday. In the meanwhile, you can watch Sunderland vs Arsenal free, but also Barcelona vs Valencia live and AC Milan vs Juventus live from our football live streams section. 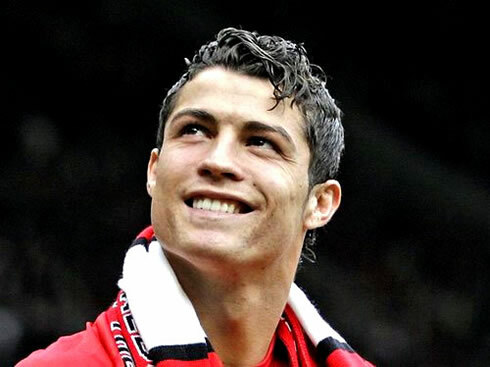 Cristiano Ronaldo is expected to be a starter against Levante, in this weekend's match.